Members of the Zonta Club of Grand Island were among Grand Islanders attending the Voices Ending Violence Breakfast on June 10 at the Buffalo Convention Center. The event is the annual fundraiser for the Family Justice Center. 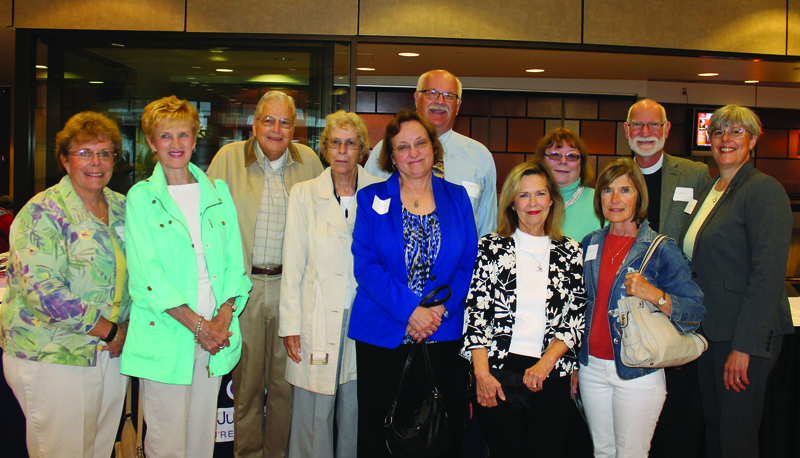 From left in the photo are: Zonta Club Assistant Treasurer Sue Brusino; Zonta past president Agnes Becker; Bill Koch; Lois Koch; Table Captain Carol Hamm; Ken Hamm; Zonta member Kathi Shonitsky, Zonta President Barb Sherman; Rosie Weselak; the Rev. Earle King, pastor of St. Martin-in-the Fields Episcopal Church; and Mary Cooke, former supervisor of the Town of Grand Island.